Adviser to Iranian President says Trump should return to nuclear deal if he wants to talk with Iranian leaders. 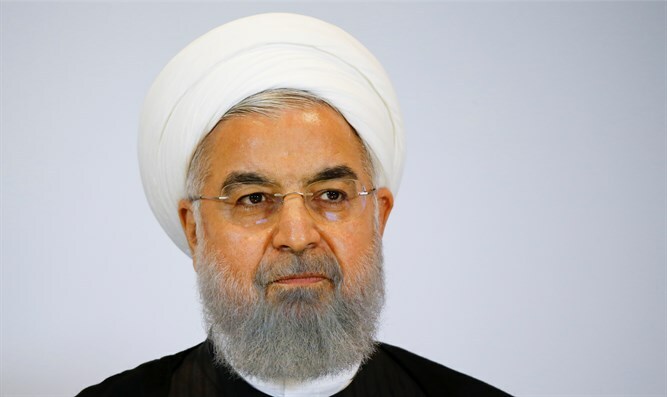 An adviser to Iranian President Hassan Rouhani on Monday replied to U.S. President Donald Trump, after he said he would be willing to meet with Iran's leaders, without pre-conditions, "anytime they want." The adviser, Hamid Aboutalebi, said that the way back to talks with the United States was for Washington to return to the nuclear deal between Iran and six major powers that Trump exited in May. “Respecting the Iranian nation’s rights, reducing hostilities and returning to the nuclear deal are steps that can be taken to pave the bumpy road of talks between Iran and America,” said Aboutalebi, according to Reuters. Trump’s statement on Monday marked a turnaround from his previous comments. Last week, he warned Rouhani on Twitter not to threaten the United States again. Before Trump’s tweet, Rouhani had warned the United States not to "play with the lion's tail", saying that conflict with Iran would be the "mother of all wars". Trump later appeared to soften his rhetoric when he kept open the possibility of negotiating an agreement to denuclearize Iran. Since leaving the nuclear deal, Washington has told countries they must stop buying Iranian oil from November 4 or face financial measures.